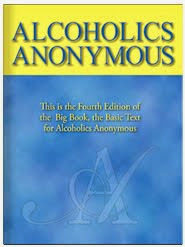 Few of us came to our first Narcotics Anonymous meeting aching to take a personal inventory or believing that a spiritual void existed in our souls. We had no inkling that we were about to embark on a journey which would awaken our sleeping spirits. Like a loud alarm clock, the First Step brings us to semiconsciousness—although at this point, we may not be sure whether we want to climb out of bed or maybe sleep for just five more minutes. The gentle hand shaking our shoulders as we apply the Second and Third Steps causes us to stand up, stretch, and yawn. We need to wipe the sleep from our eyes to write the Fourth Step and share our Fifth. But as we work the Sixth, Seventh, Eighth, and Ninth Steps, we begin noticing a spring in our step and the start of a smile on our lips. Our spirits sing in the shower as we take the Tenth and Eleventh Steps. And then we practice the Twelfth, leaving the house in search of others to awaken. We don’t have to spend the rest of our lives in a spiritual coma. We may not like to get up in the morning but, once out of bed, we’re almost always glad we did. 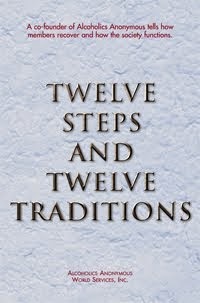 Just for today: To awaken my sleepy spirit, I will use the Twelve Steps.